Bad Boy Entertainment is having a blast this year, as they commemorate the 20th anniversary of its foundation in 1993. The record label is a brilliant creation of Sean John Combs - or P. Diddy in the hip hop world – who is one of the richest Hollywood stars even to this day. As a way of thanking their fans, they are providing free box sets to the people who will obtain the rapper’s fragrance collection. Great Company Remembrance. 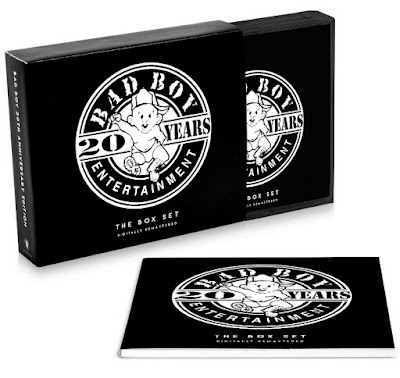 The Bad Boy Entertainment logo engulfs the whole front cover of the promotional box set. There are five CDs in every pack that will most definitely transport the people to those times when online stores still have not been developed. This is one of the best things to remember a company by. Higher Brand Worth. The black-and-white design can make the consumers feel once more the vibe of the 90s when hip hop and P. Diddy’s music career have started to flourish. The new generation as well that may not know of the excellent rap songs back then can listen to them now. Thus, Bad Boy Entertainment’s significance will be much higher due to this. For more remarkable marketing ideas, jump to the blog section now.